Admission will be required to gain access to the show where Kenny Lofton will be signing free autographs. 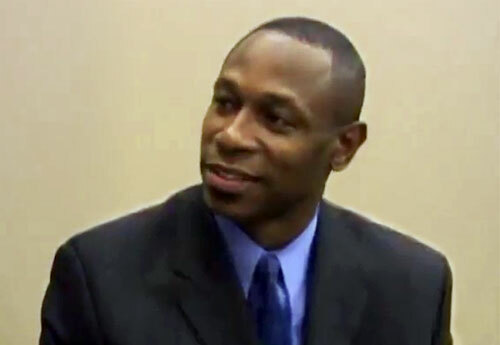 Kenny Lofton is a retired MLB center fielder who played for the Houston Astros in 1991, the Cleveland Indians from 1992 to 1996, the Atlanta Braves in 1997, the Cleveland Indians again from 1998 to 2001, the Chicago White Sox in 2002, the San Francisco Giants in 2002, the Pittsburgh Pirates in 2003, the Chicago Cubs in 2003, the New York Yankees in 2004, the Philadelphia Phillies in 2005, the Los Angeles Dodgers in 2006, the Texas Rangers in 2007 and the Cleveland Indians once again in 2007. Lofton is a six-time All-Star for 1994 through 1999, a four-time Gold Glove Award winner for 1993 through 1996 plus he is a five-time American League stolen base leader from 1992 through 1996. Lofton was inducted into the Cleveland Indians Hall of Fame in 2010. Sports Speakers 360 is a booking agent for pro athletes. If you would like to book Kenny Lofton for a speaking engagement, appearance or endorsement, contact a Kenny Lofton booking agent for fees at 1.855.303.5450.